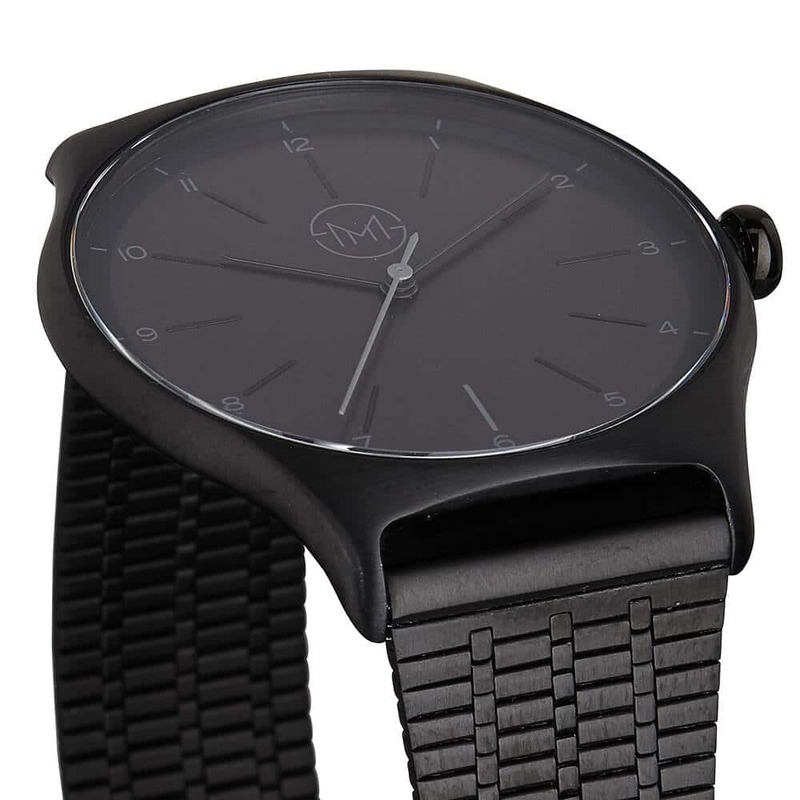 Certainly one of the coolest options we feature in our collection. 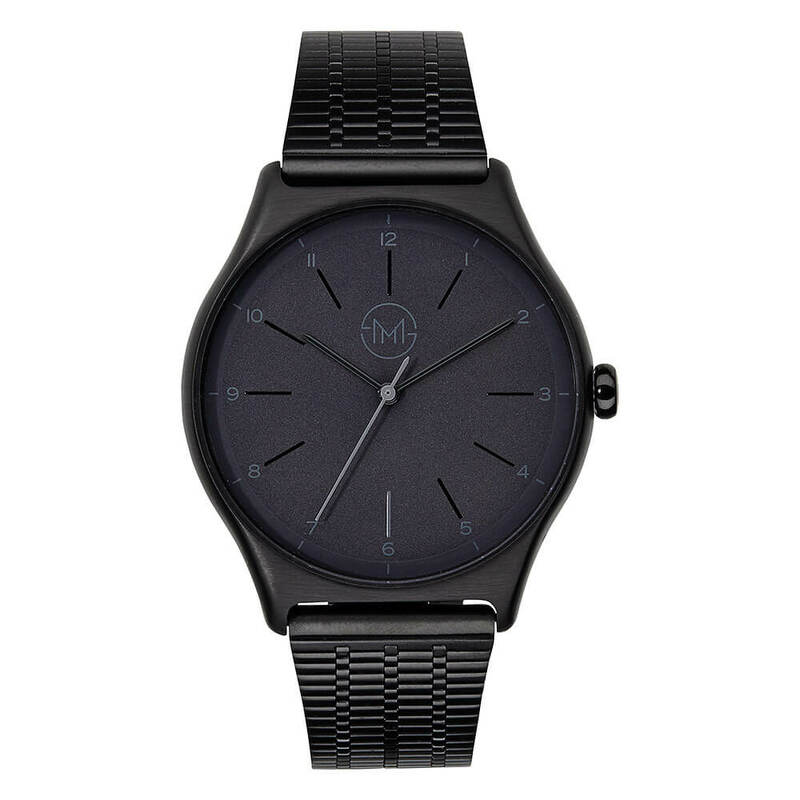 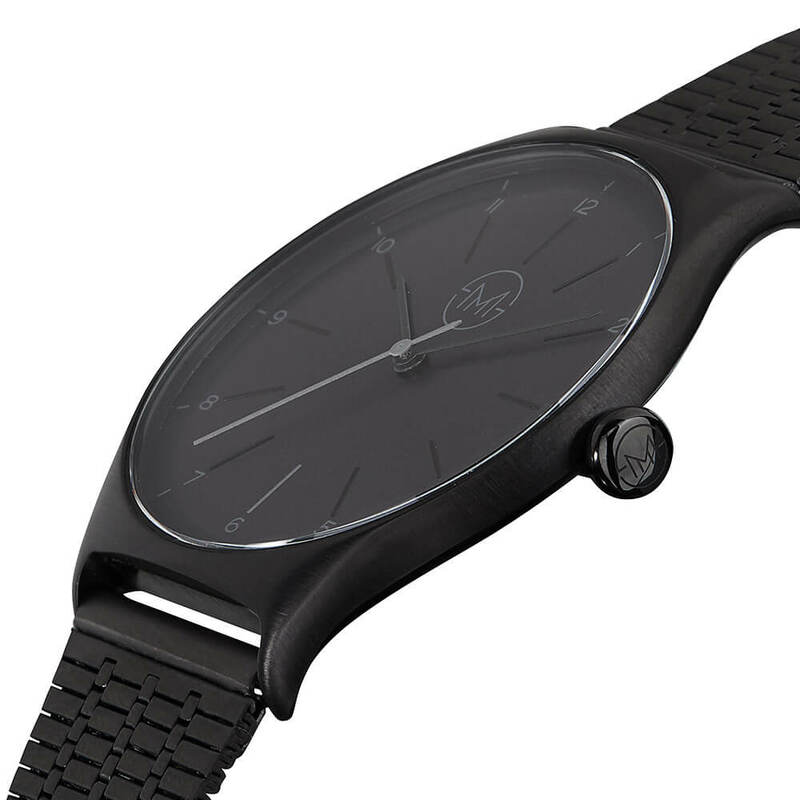 The all black case with black metal band gives this slim timepiece a great tonal look and only the grey second stands out a tiny bit. 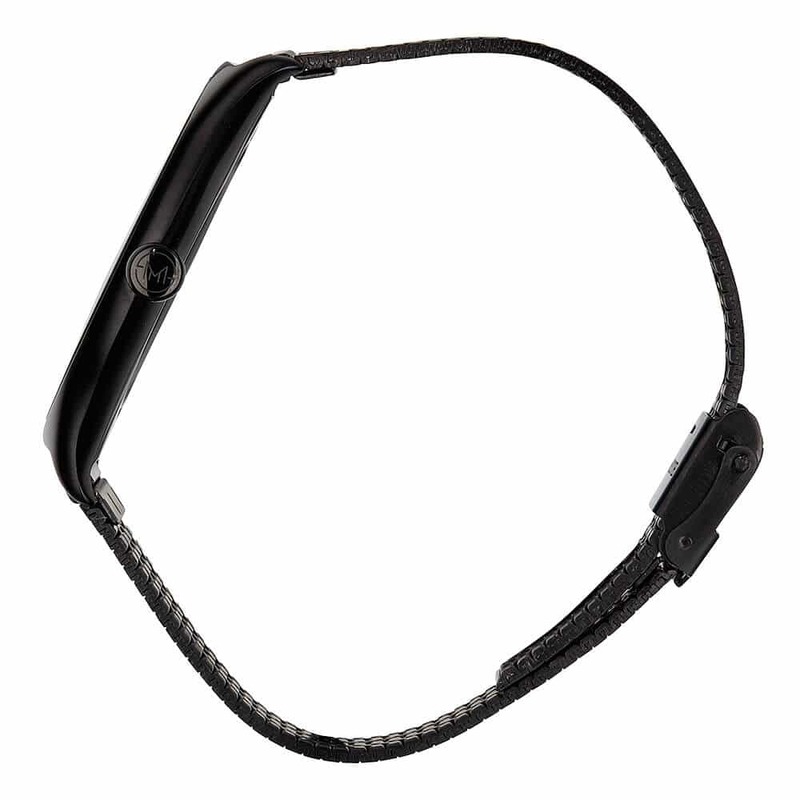 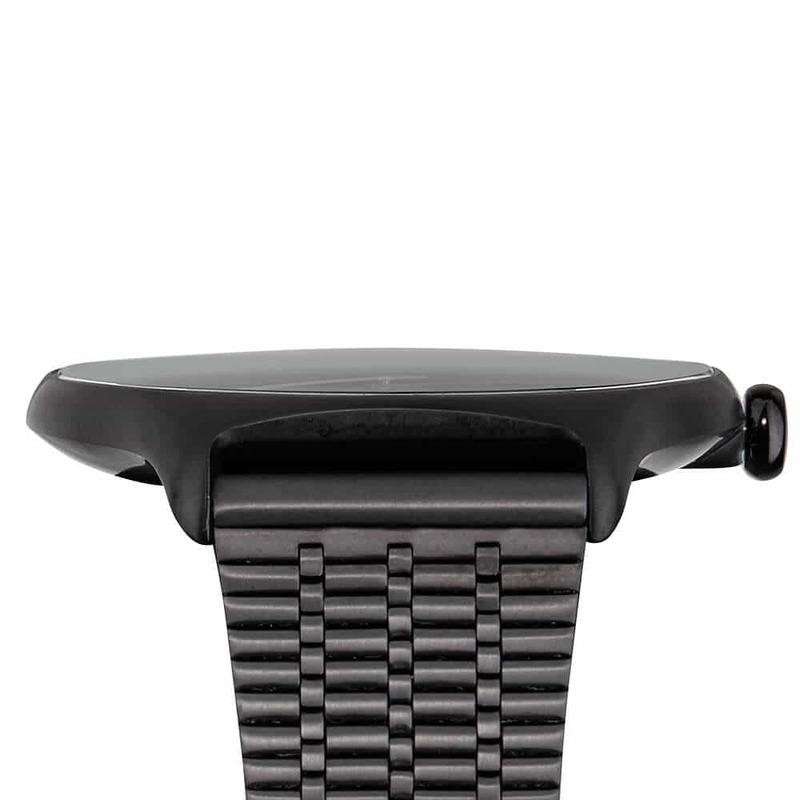 The extra thin metal band perfectly fits to the slim timepiece. 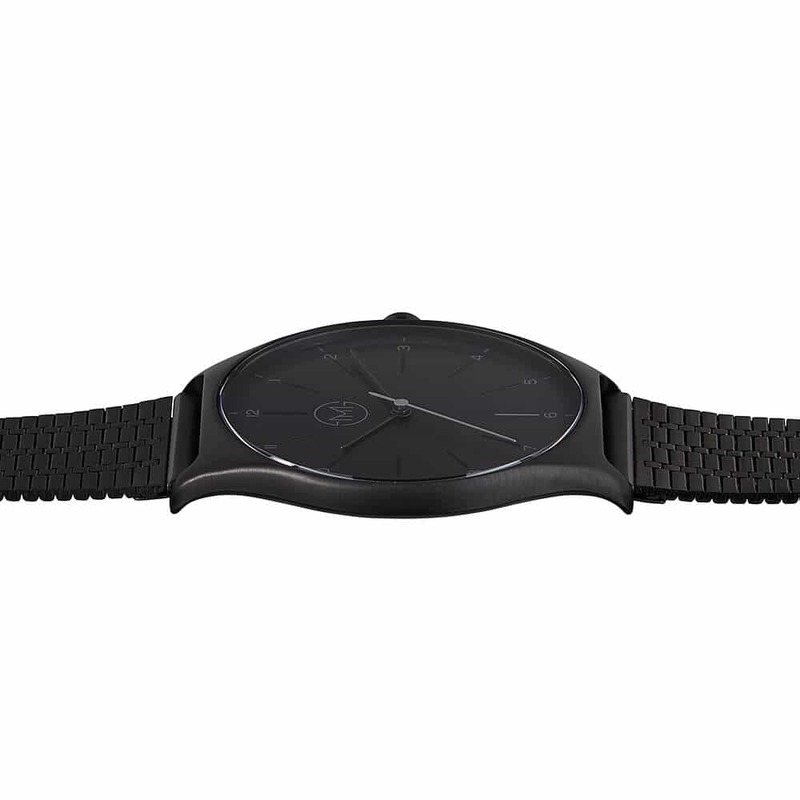 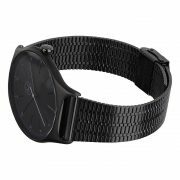 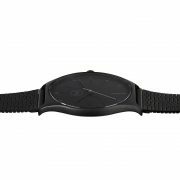 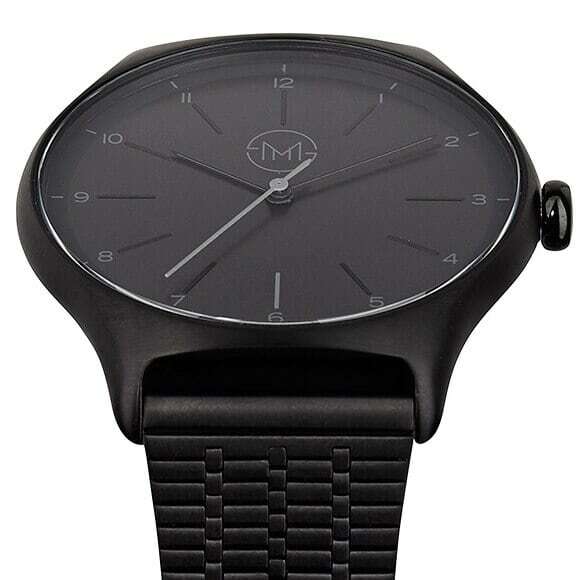 By optimizing every component and production process we managed to get the case of this slim timepiece only 7 mm thin, so it will perfectly wrap around your wrist and you won’t get stuck anywhere. 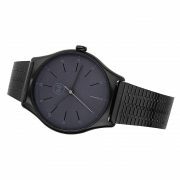 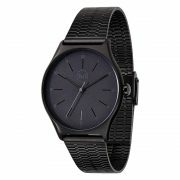 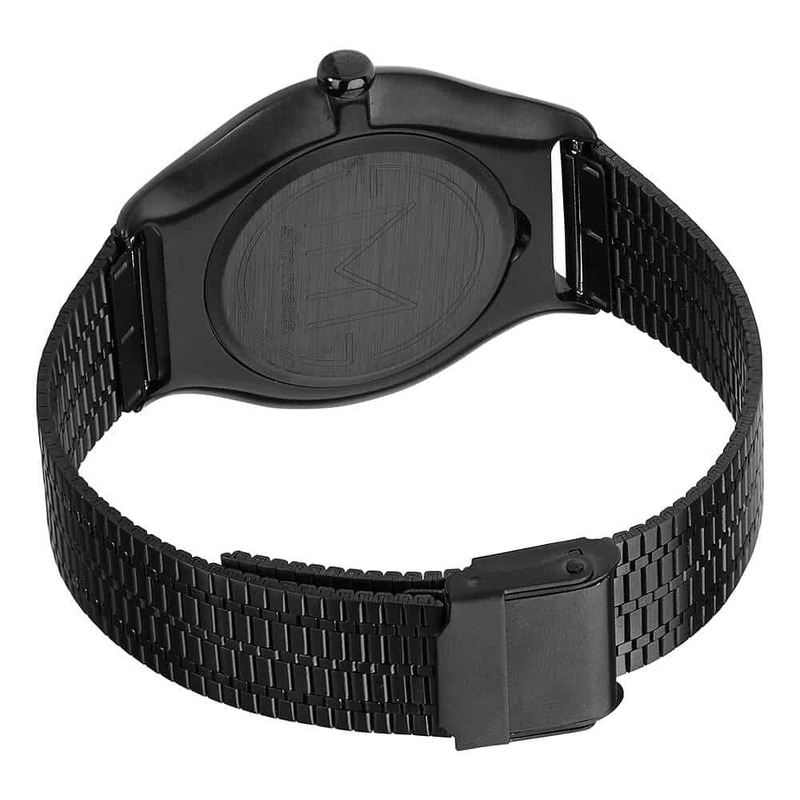 I have at this watch for a year to two years I have changed the battery once but it is a very nice looking and accurate watch yet simple and not expensive a good buy.